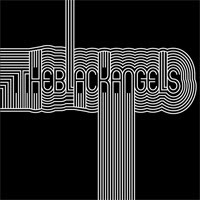 Fringe Music: The Black Angels, The Glass Helmets? The band name The Glass Helmets may ring a bell for Cloverfield fans. The band was mentioned in a Cloverfield viral video on the JamieAndTeddy.com website. It's not clear if TGH is a real band. A MySpace account for TGH appeared during the Cloverfield ARG, and does not appear to have been updated since. Hmmm, but now where can I hear the song as the site doesn't seem to want to play either of them... Well, short of watching the episode over. Matthew Fox singled out The Black Angels as a favorite band in an interview a year or two or tree ago. But maybe you knew that? Note the song title--Skin head. Perhaps alluding to the bald man?